Refill cannister for Cooper Electric Aerosol Dispenser. 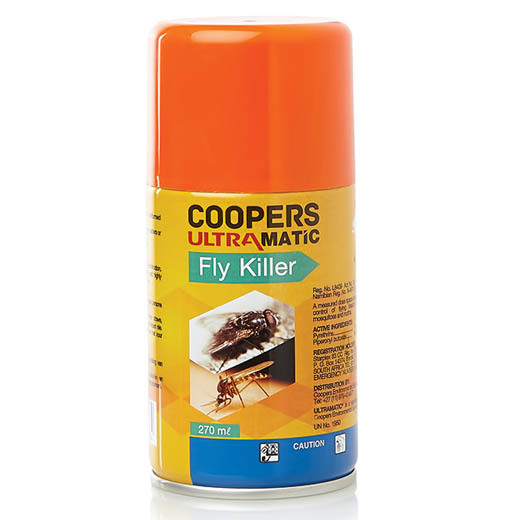 Coopermatic fly killer controls flies and mosquitoes and can last up to 30 days (depending on the spray interval settings on the dispenser). Suitable for use in food handling premises.